The IPL system for hair reduction and removal uses the most advanced technology. The Intense Pulsed Light is absorbed by hair follicles, heating them up. 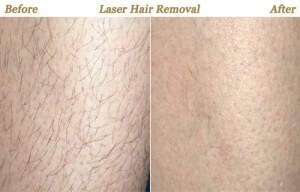 As a result, the hair follicles are damaged and the damaged results in epilation. Number of treatments required depends on the area being treated. In addition, the IPL only works on hair follicles which are actively growing at the time of the treatment. Further treatment may be needed before the area is fully clear of hair.